Deidre's Discoveries: May 2014 - Ipsy Glambag! May 2014 - Ipsy Glambag! So I just realized that I haven't posted my review on the May glambag! Oops! I should probably do that before I do June's review huh?! Sorry its not the greatest photo, but I haven't pulled it out to take another picture. For me, May wasn't a very exciting month. I didn't get any amazing products, so it was a little bit of a let down. The bag itself is super cute and I love that they used canvas instead of their usual stinky material. But the contents were pretty meh. The theme was Beauty's Fresh Picks. 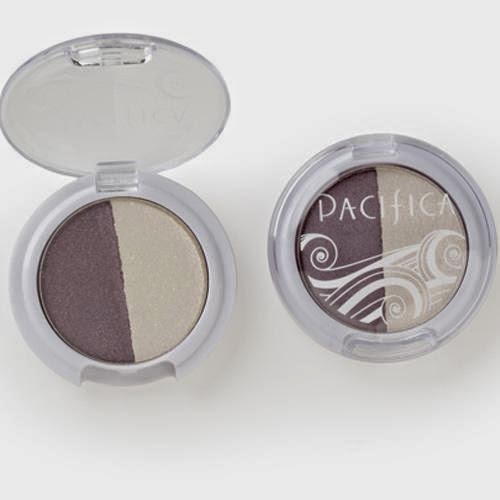 For the month of May, all subscribers received the Pacifica eyeshadow duo in a purple or brown shade. I received the purple/white duo. It's what I was really hoping for too. After trying it a few times, I was so so disappointed. The white comes out as a gold glitter shadow, and the purple shadow has very little to no colour pay off. So something I was so looking forward to try, really sucked. I wouldn't recommend it to anyone. The nail polish was something I wanted when I saw the sneak peeks. It is Nailtini in the shade "Adios". I didn't have any blue polish, so I wanted to add one to my collection. I have used Nailtini before, I received it in my first glam bag in the brown " Champagne" shade. Apparently ipsy didn't have enough of these to go around and some members got old shades from previous bags. The nail polish once applied is a silvery blue. I like it, but will probably only use it on my toes. 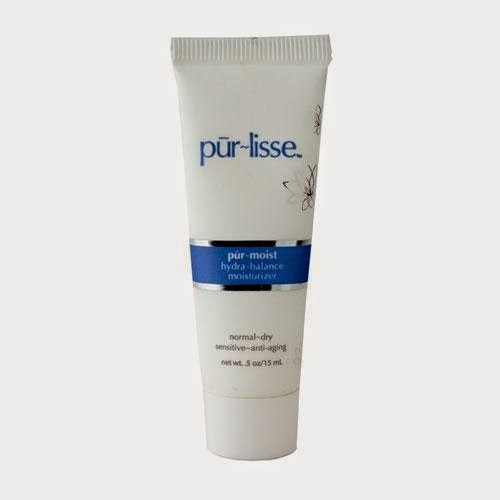 I forget if I wanted the pur-lisse moisturizer in my bag. Either way, I got one. It smells okay, works okay, but again.. Nothing amazing. I have plenty of other moisturizers that I like more. Would I recommended it to someone? Maybe if it were cheap and they had normal skin. I'll use it until it runs out, but I wouldn't purchase a full size. Now the next two products I received, I haven't used. 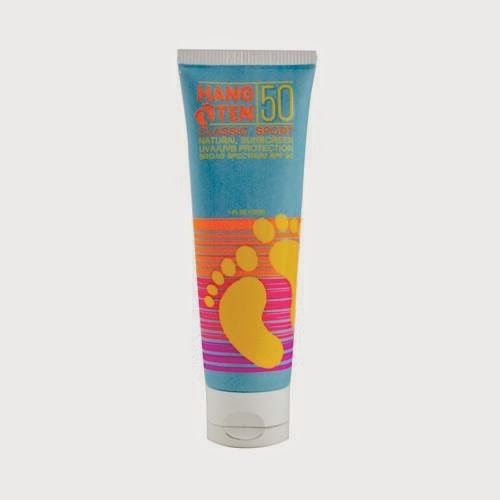 This is Hang Ten sunscreen, spf 50. I really should apply sunscreen because I am so pale, but I honestly spend probably 23 hours indoors. I figure I will use this in the future if I go on a vacation. In the meantime, I use bb cream on my face that includes spf. 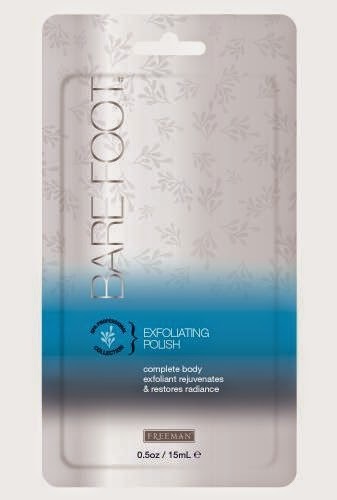 Barefoot exfoliating polish. Now I originally thought this was only a foot scrub, up until a few days ago. I only just noticed that it's for your body. Oopsie! Anyway, I will give it a try eventually. I don't really see a need or want for this. As you can see, May was a mediocre month for me. In the next post you will see that June turned out to be a success! You get 4-5 beauty products every month delivered to your door, for just $10 ($15 Canadian) each month! Ipsy - June 2014 - Sneak Peeks!